The İstanbul Chief Public Prosecutor’s Office issued detention warrants for 85 people including six generals and 43 lower-ranking officers on Thursday as part of witch-hunt operations against the Gülen movement launched in the aftermath of a failed coup attempt on July 15, the state-run Anadolu news agency reported. The police have started to carry out raids on the residences of the 85 people in 15 provinces and have so far detained four suspects, reported Anadolu. 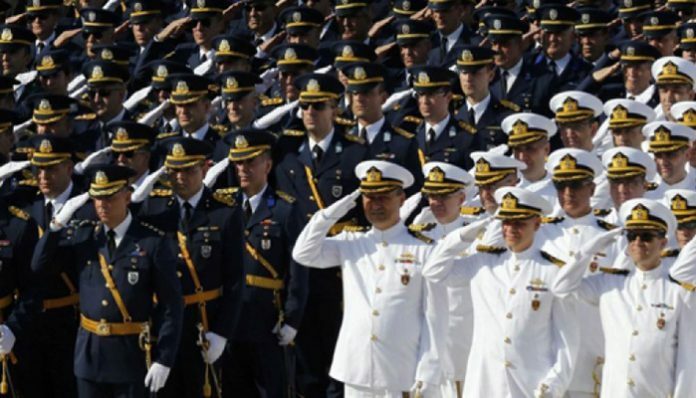 In another development on Wednesday, Turkish police detained two admirals who are on the government’s black list and a naval commander and his daughter for helping the two flag officers hide from authorities. The number of personnel dismissed including generals and admirals since the failed coup attempt in July has exceeded 4,500. The government has also closed all military academies in Turkey due to alleged involvement in the putsch. Turkey survived a military coup attempt on July 15 that killed over 240 people and wounded more than a thousand others. Immediately after the incident, the Justice and Development Party (AKP) government along with President Recep Tayyip Erdoğan pinned the blame on the Gülen movement.